December 2011: Armstrong and colleague Mark Williams of the Institute of Arctic and Alpine Researh are partnering with the United States Agency for International Development, leading a study to assess snow and glacier contributions to water resources originating in the high mountains of Asia that straddle 10 countries. December 2009: Armstrong participated in a six-person task force to produce Melting Snow and Ice: A Call for Action (PDF file, 12.2 MB), a report on the status of Earth's glaciers and ice caps, which was presented at the United Nations Climate Change Conference in Copenhagen (COP15). May 2008: Armstrong became NSIDC Interim Director. October 2007: The Intergovernmental Panel on Climate Change (IPCC) was named to receive the 2007 Nobel Peace Prize, along with former Vice President Al Gore. Armstrong contributed to the most recent IPCC report, Climate Change 2007: The Physical Science Basis. Wilson, A. M., S. Gladfelter, M. W. Williams, S. Shahi, P. Baral, R. Armstrong, and A. Racoviteanu. 2017. High Asia: The International Dynamics of Climate Change and Water Security. The Journal of Asian Studies Asian Studies 76(2): 457-480. doi:10.1017/S0021911817000092. Severskiy, I., E. Vilesov, R. Armstrong, A. Kokarev, L. Kogutenko, Z Usmanova, V. Morozova, and B. Raup. 2016. Changes in glaciation of the Balkhash-Alakol basin, central Asia, over recent decades. Annals of Glaciology 57(71): 382-394. doi:10.3189/2016AoG71A575. Raup, B. H., S. J. S. Khalsa, R. Armstrong, et al. 2014. Quality in the GLIMS Glacier Database. In: Global Land Ice Measurements from Space J.S. Kargel, G. Leonard, M.P. Bishop, A. Kääb, and B.H. Raup, eds. Springer-Praxis. Racoviteanu, A. E., R. Armstrong, and M. W. Williams. 2013. Evaluation of an ice ablation model to estimate the contribution of melting glacier ice to annual discharge in the Nepal Himalaya. Water Resources Research 49(9): 5,117-5,133. doi:10.1002/wrcr.20370. Painter, T. H., M. J. Brodzik, A. Racoviteanu, and R. Armstrong. 2012. Automated mapping of Earth's annual minimum exposed snow and ice with MODIS. Geophysical Research Letters 39. doi:10.1029/2012GL053340. Armstrong, R. L. 2010. The Glaciers of the Hindu Kush-Himalayan Region. Kathmandu, Nepal: International Centre for Integrated Mountain Development. Elder, K., D. Cline, G. E. Liston, and R. Armstrong. 2009. NASA Cold Land Processes Experiment (CLPX 2002/03): Field Measurements of Snowpack Properties and Soil Moisture. Journal of Hydrometeorology 10(1): 320-329. doi:10.1175/2008JHM877.1. Savoie, M. H., R. L. Armstrong, M. J. Brodzik, J. R. Wang. 2009. Atmospheric corrections for improved satellite passive microwave snow cover retrievals over the Tibet Plateau. Remote Sensing of the Environment 113(12): 2,661-2,669. doi:10.1016/j.rse.2009.08.006. Armstrong, R. L., and E. Brun, eds. 2008. Snow and Climate: Physical Processes, Surface Energy Exchange and Modeling. Cambridge: Cambridge University Press. Beedle, M. J., M. Dyurgerov, W. Tangborn, S. J. S. Khalsa, C. Helm, B. Raup, R. Armstrong, and R. G. Barry. 2007. Improving estimation of glacier volume change: a GLIMS case study of Bering Glacier System, Alaska. The Cryosphere Discussion 2(1): 33-51. Raup, B., A. Racoviteanu, S. J. S. Khalsa, C. Helm, R. Armstrong, and Y. Arnaud. 2007. The GLIMS geospatial glacier database: A new tool for studying glacier change. Global and Planetary Change 56(1-2): 101-110. doi:10.1016/j.gloplacha.2006.07.018. Yang, D., Y. Zhao, R. Armstrong, D. Robinson, and M. J. Brodzik. 2008. Streamflow response to seasonal snow cover mass changes over large Siberian watersheds. Journal of Geophysical Research 112, F02S22. doi:10.1029/2006JF000518. Tedesco, M., E. J. Kim, D. Cline, T. Graf, T. Koike, R. Armstrong, M. J. Brodzik, and J. Hardy. 2006. Comparison of local scale measured and modeled brightness temperatures and snow parameters from the CLPX 2003 by means of a dense medium radiative transfer theory model. Hydrological Processes 20(4): 657-672. doi:10.1002/hyp.6129. Chang, A. T. C., R. E. J. Kelly, E. G. Josberger, R. L. Armstrong, J. L. Foster, and N. M. Mognard. 2005. Analysis of ground-measured and passive-microwave-derived snow depth variations in midwinter across the northern Great Plains. Journal of Hydrometeorology 6(1): 20-33. doi:10.1175/JHM-405.1. Oelke, C., T. Zhang, M. C. Serreze, and R. L. Armstrong, 2003. Regional-scale modeling of soil freeze/thaw over the Arctic drainage basin. Journal of Geophysical Research 108(D10): 4,314-4,331. doi:10.1029/2002JD002722. Zhang, T., R. L. Armstrong, and J. Smith. 2003. Investigation of the near-surface soil freeze-thaw cycle in the contiguous United States: Algorithm development and validation. Journal of Geophysical Research 108(D22): 8860-8874. doi:10.1029/2003JD003530. Armstrong, R. L., and M. J. Brodzik. 2002. Hemispheric-scale comparison and evaluation of passive microwave snow algorithms. Annals of Glaciology 34: 38-44. doi:10.3189/172756402781817428. Frei, A., R. L. Armstrong, M. P. Clark, and M. Serreze. 2002. Catskill Mountains water resources: vulnerability, hydroclimatology and climate change sensitivity. Annals of the Association of American Geographers 92(2): 203-224. Armstrong, R. L., and M. J. Brodzik. 2001. Recent Northern Hemisphere snow extent: a comparison of data derived from visible and microwave sensors. Geophysical Research Letters 28 (19): 3673-3676. Tait, A. B., D. K. Hall, J. L. Foster, and R. L. Armstrong. 2000. Utilizing multiple data sets for snow-cover mapping. Remote Sensing of the Environment 72(1): 111-126. 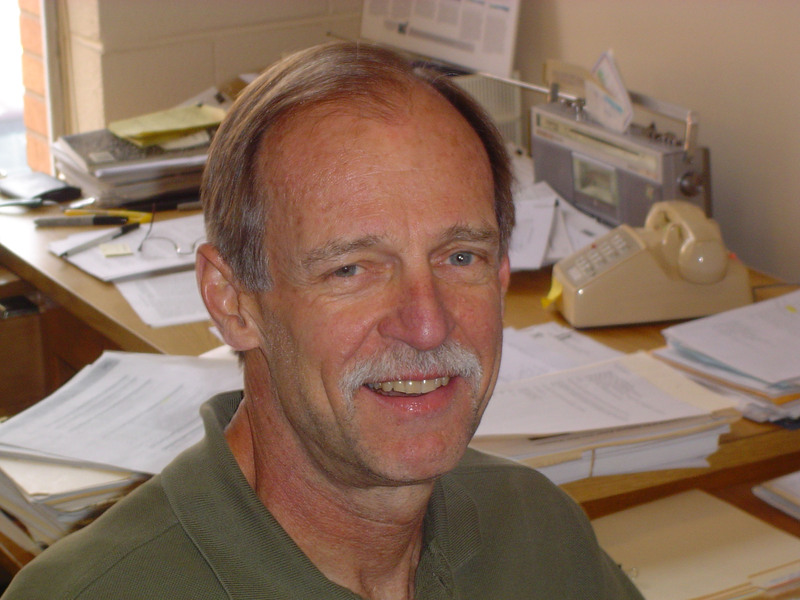 Search for more articles by Richard Armstrong in Google Scholar.